Sucré Sweet Boutiques Gourmet Chocolate GIVEAWAY!!!! Who doesn’t love free chocolate? You may remember that I blogged about my obsession with the Sucré Signature Chocolate Collection back in March. They were seriously some of the best chocolates I have ever had. Well guess what? Now you can try them for FREE!!! Yes, that’s right, FREE! What’s the catch you ask? 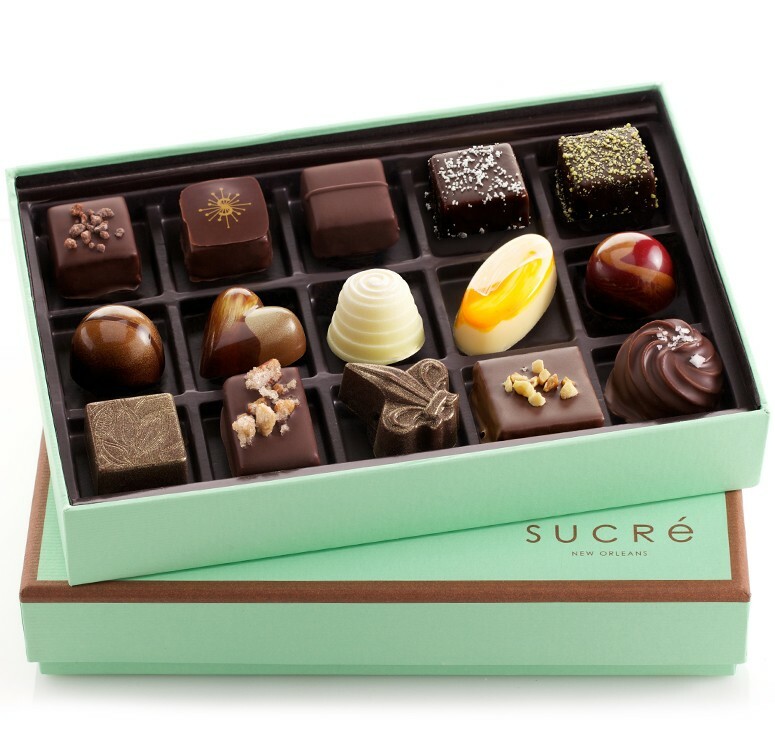 Well, my friends at Sucré have offered to give one of my lucky readers a free box of their Signature 15pc Chocolate Collection as a thank you for my review of their products earlier this year. Well, I’ve been quiet for the last two years because of the shop, so I know my readership is down. Hopefully this will inspire some of you to jump back on board. Comment on this blog post with what your favorite BFW recipe is and WHY. I will pick the winner based on the best answer. You have one week — until NOON on Friday 7/26 to respond. Sorry, but they can only ship to readers who reside in the Continental US. Want this for free??? Tell me your favorite BFW recipe and why! I will announce the winning reader on my blog and we will talk offline so I can get your address, as the chocolates will be shipped directly to your home from their boutique in NOLA.